Web sites designed by the professionals of BKR Studio will provide measurable results for your company. In fact, we guarantee it! If you're looking for a professional Web designer for your small business Web site, an effective e-commerce Web site design, a Web site redesign or search engine optimization services to achieve higher rankings in search engine results, we can provide a results-based cost effective solution for you. You Don’t Want a Web Site... You Want More Sales! You want more prospects, more leads for your sales staff, and, bottom line, more sales! 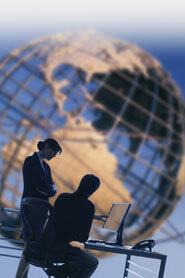 We understand your Web site is a valuable tool to increase your profits. Our dedicated staff of professional Web site designers have the experience required to develop your Web site, attract new customers and deliver measurable results with a solid return on your investment... and isn’t that why you want a Web site? We’ve been designing Web sites since 1996, and continuously expand our knowledge base to keep abreast of the ever-changing Web world.. We know what it takes to succeed online and we delight in having our client’s succeed too. Our approach to Web site design and Web site development balances the site’s appearance with sound technical skills used in the site programming, along with a search engine friendly design philosophy. The end result? A great looking site that is easy for your customers to use and ranks well on search engines. Top search engines often place our clients at the top of the list for multiple, relevant keyword phrases, and they have maintained that choice position for years! Our approach to Web site design gets results! We guarantee it. Take a look at our Web site case studies or read what our clients say about our work on our testimonials page.